To cut a long story short: For 220 years, the Hotel de la Marine has been the headquarters of the French navy. But the navy will move out before 2014 and move into a kind of new French Pentagon built in the Southwest of Paris in the 15th arrondissement. And the French are somehow incapable of deciding what should replace it. Over the last couple of months the old building’s fate has not been decided, and it has given rise to particularly heated debate. Is it so difficult to find a new use (and financing) for its 215,000 square feet and 553 rooms? Apparently so. 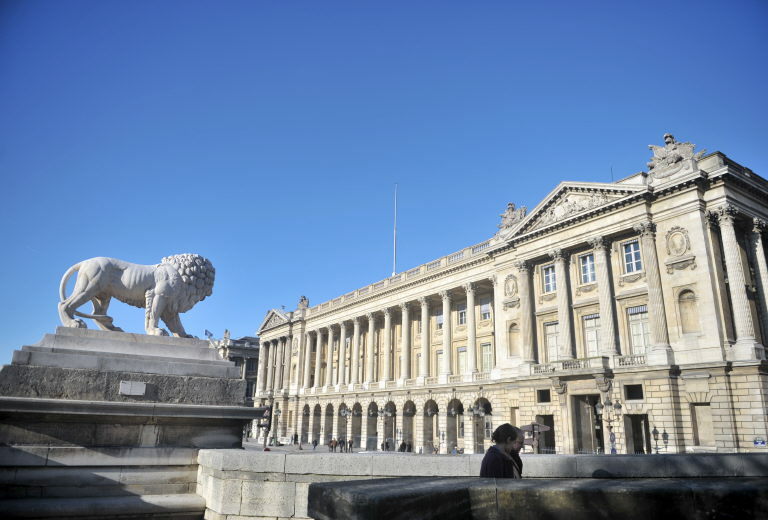 It might become an annex of the Louvre, a commission announced yesterday. The crown jewels, once stolen from here, could be displayed on the “étages nobles”, the noble floors. The rest could be used for the administration of the museum, at present renting offices outside the Louvre at an extremely high price. You think that’s lacking a bit of originality? Not for the French. Look at it: the Hôtel de la Marine is without any doubt one of the jewels of 18th-century Paris. It was designed by the royal architect Jacques-Ange Gabriel and constructed between 1757 and 1774 at the request of Louis XV. Much of it is largely untouched. 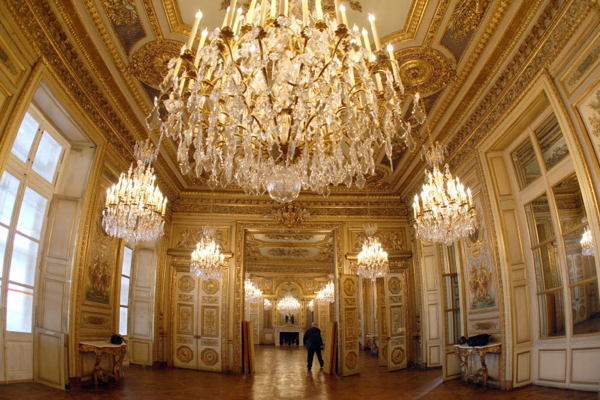 Its splendid ceremonial rooms were recently restored for $9.5 million. It is sitting on what is one of the choicest, most expensive pieces of land in Paris, on Place de la Concorde, one of the most beautiful squares in the world. But that’s not all. Here, from its balcony called the Balcony of History, people witnessed the execution of their King and their Queen. This is the building where Marie Antoinette’s and Louis XVI death certificate were signed. The heavy weight of history is probably the reason why it is so hard to decide what to do with the Hôtel de la Marine. A lot of predators showed up at the beginning. There were plans to install a museum of French history, others for a museum of decorative arts, or even a national institute of French gastronomy. But the most controversial was a project promoted by a famous French businessman, Alexandre Allard, who bought and recently restored the Royal Monceau hotel in Paris. Supported by the famous architect Jean Nouvel and an ex-minister of Culture, Renaud Donnedieu de Vabres, Allard promoted his idea to create a prestigious auction house, with a space devoted to showcasing French artisanship, as well as luxury apartments for rich foreigners. There was a suggestion that the courtyard — marked in each corner by the navy’s watchwords of honour, country, valour, discipline — would be covered with a glass roof. The game seems to be over now. Nicolas Sarkozy appointed a committee consisting of a couple of commendable men, who are supposed to report on July 14th. When else? Strangely we already know what they will advise: another Louvre, just for the crown jewels.